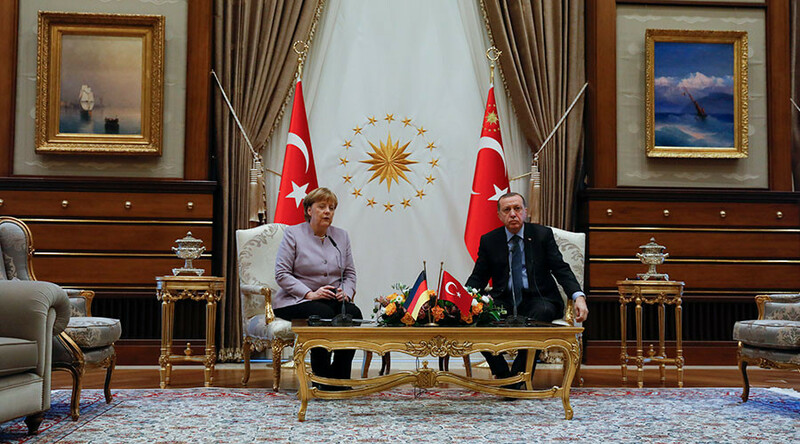 Islam should never be conflated with crimes carried out by extremists, Turkey’s president has said taking issue with Angela Merkel’s use of the phrase "Islamist terrorism,” during a joint press conference with the German Chancellor in Ankara. 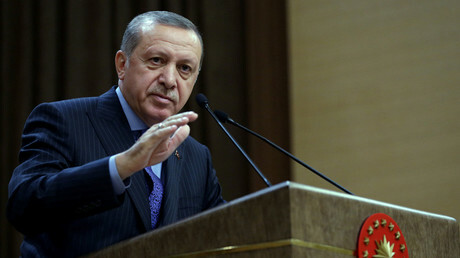 Merkel’s statement, although seemingly well intentioned, drew a sharp rebuke from President Recep Erdogan, the founder of the ruling Islamist AKP (Justice and Development) Party. "This expression ‘Islamist terror’ seriously saddens us Muslims," he interjected. The two leaders were briefing reporters on Thursday after concluding talks on the refugee crisis, the conflict in Syria and joint measures against terrorism. ‘Religion of peace’ and other such expressions are often used in an attempt to distance violent Islamic radicals from the billions of people around the world who practice their religion peacefully. Notably, it was used by former US President George W Bush in the wake of the September 11th attacks, so far the single bloodiest terrorist atrocity on American soil. Former US President Barack Obama has faced criticism, including from current President Donald Trump, for refusing to use the expression ‘Islamic terrorism’ when describing acts of terror carried out by Muslims. Trump himself has not shied away from using the expression. Russian President Vladimir Putin has taken a more nuanced approach. "I would prefer Islam not to be mentioned in vain alongside terrorism," replied Putin when asked about the matter at his annual year-end press conference in December 2016. Turkey has, in recent years, witnessed a surge in terrorist attacks carried out by Islamic State (IS, formerly ISIS/ISIL).